Your endocrine system is your main hormone regulator and endocrine disruptors are chemicals that throw it out of whack. 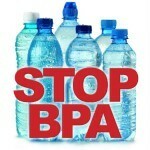 Chemicals like BPA and phthalates are infiltrating our lives at an ever increasing rate. Considering that hormones control everything from metabolism to sleep, protecting it from disruption should be a top priority. 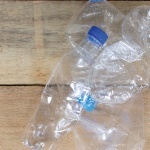 Plastics are the main source for endocrine disruptors but they're not the only culprits. Paper receipts, money, tin cans, and electronics are all common, everyday products that contain endocrine disrupting chemicals. 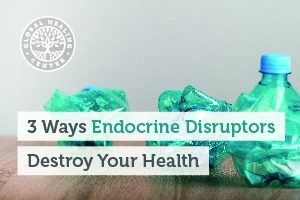 Let's take a look at a few ways endocrine disruptors are destroying our health. 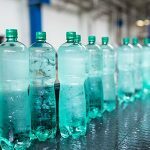 There is an effort in the European Union (EU) to ban endocrine disruptors, but it’s slow going. Billion-dollar corporations, more concerned with profits are throwing up roadblocks. After all, a European ban on toxic chemicals would mean many products sold would need to be reformulated. I think, though, as long as at least one government is trying to change this issue, there’s hope – if only a glimmer. What do you think? 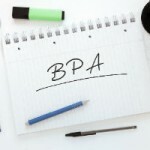 Do you take a concerted effort to avoid endocrine disruptors? Leave a comment below and let us know where you stand. Barrett, J. EDCs and Estrogen Receptor Activity: A Pathway to Safer Chemical Design? Environmental Health Perspectives. 122 (12). Hormone Health Network. Endocrine-Disrupting Chemicals. Endocrine Society. Norden. The Cost of Inaction: A Socioeconomic analysis of costs linked to effects of endocrine disrupting substances on male reproductive health. Norden. Louis, G. et al. Urinary Concentrations of Benzophenone-Type Ultraviolet Radiation Filters and Couples' Fecundity. American Journal of Epidemiology. 180 (12). Federal Register. Prohibition of Children's Toys and Child Care Articles Containing Specified Phthalates. Federal Register. Fowler, PA et al. Impact of endocrine-disrupting compounds (EDCs) on female reproductive health. Molecular and Cellular Endocrinology. 355 (2). Evanthia Diamanti-Kandarakis, Jean-Pierre Bourguignon, Linda C. Giudice, et al. Endocrine-Disrupting Chemicals: An Endocrine Society Scientific Statement. Endocrine Reviews. 30 (4). Bittner, G. Chemicals having estrogenic activity can be released from some bisphenol a-free, hard and clear, thermoplastic resins. Environmental Health Perspectives. 13 (103). Joe M. Braun, Allan C. Just, Paige L. Williams, et al. Personal care product use and urinary phthalate metabolite and paraben concentrations during pregnancy among women from a fertility clinic. Journal of Exposure Science and Environmental Epidemiology. 24. Taylor, P. et al. Maternal perchlorate levels in women with borderline thyroid function during pregnancy and the cognitive development of their offspring: data from the Controlled Antenatal Thyroid Study. The Journal of Clinical Endocrinology and Metabolism. 99 (11). Charatcharoenwitthaya N, Ongphiphadhanakul B, Pearce EN, et al. The association between perchlorate and thiocyanate exposure and thyroid function in first-trimester pregnant Thai women. The Journal of Clinical Endocrinology and Metabolism. 99 (7). Andreas Kortenkamp, Olwenn Martin, Michael Faust, et al. STATE OF THE ART ASSESSMENT OF ENDOCRINE DISRUPTORS. European Commission. Wolfgang Dekant, James P. Kehrer. Scientifically unfounded precaution drives European Commission’s recommendations on EDC regulation, while defying common sense, well-established science and risk assessment principles. Alternatives to Animal Experimentation.